British historian and journalist Andrew Roberts is known to have courted many a controversy back home for his contrary standpoints, even as he has been outspoken about what he calls, ai?? ?unpalatable decisionsai?? ?, for the sake of upholding the liberty and rights of the people, across geographies. Being a vocal critic of Gandhi is one of Andrewai??i? ?s massively controversial stances. Yet, in keeping with the JLFai??i? ?s all-inclusive purview, he is entitled to have his word in ai??i?? popular or not. The history of India has become a subject for frequent retelling. Which contemporary accounts do you prefer to reference? It was the Dutch historian Pieter Geyl who said with reference to Napoleon that ai?? ?History is an argument without end,ai??? which is as true for the history of India, as everywhere else. This is, of course, a good thing. I tend to read books that overlap with whatever Iai??i? ?m writing. At present, it is Arjun Subramaniamai??i? ?s excellent book Indiaai??i? ?s Wars, A Military History of India 1947-71. How did you manage to, so to speak, predict the recent Brexit referendum? Itai??i? ?s quite extraordinary. In The Aachen Memorandum over 20 years ago, I predicted that a European referendum would take place in 2015, and produce a Brexit vote of 51.89%. In fact, it took place in 2016 and the vote was 51.86%, so I was only 3/100ths of 1% out! I am the modern Nostradamus. Are there any other subjects youai??i? 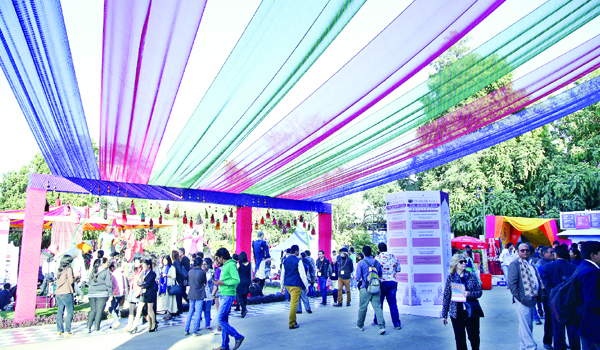 ?d like to readdress at JLF? I donai??i? ?t court controversy for its own sake; I just donai??i? ?t avoid it either. Plavix vs generic side effects You also wrote in great detail about Hitler and Winston Churchill, in Secrets of Leadership. Would you like to offer a take on Gandhi? I know that Gandhi is considered a saint in India, but Iai??i? ?m afraid, Iai??i? ?m not a fan. As a historian of the Second World War, I canai??i? ?t forget that during the London Blitz, he suggested: ai?? ?Invite Hitler and Mussolini to take what they want of the countries you call your possessions. Let them take possession of your beautiful island with its many beautiful buildings. You will give all this, but neither your minds nor your souls.ai??? If Britons felt disinclined to go along with the Mahatmaai??i? ?s proposal, it was consistent with his earlier suggestions to Ethiopians to ai?? ?allow themselves to be slaughteredai??i?? by the Italians since ai?? ?after all, Mussolini didnai??i? ?t want a desertai??i? ?, and his proposition that German Jews ought to make ai?? ?a calm and determined stand offered by unarmed men and women possessing the strength of suffering given to them by Jehovahai??i? ?, as he believed that would convert the Nazis ai?? ?to an appreciation of human dignity.ai??i?? In the Nazi period Iai??i? ?m writing about, at least, his message of non-violence was potentially disastrous. Do you as yet stand by your assertion that the onus of protecting civilisation rests with the English-speaking people? It certainly doesnai??i? ?t rest solely with the English-speaking peoples ai??i?? every country has a part to play in fighting the rising tide of barbarism that we see in the world, of which ISIS is the latest mutation of the phenomenon. India is epicentral to the struggle too, although, with the huge number of Indians who speak English as at least one of their languages, Iai??i? ?ve always seen India as an integral part of the English-speaking peoples. When the great proto-Fascist and Nazi and Soviet threats to democracy appeared in the 20th century, and now that Islamic fundamentalist terrorism is appearing in the 21st, India has been firmly on the side of civilisation, and of course, has made sacrifices as a result.